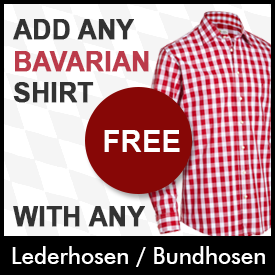 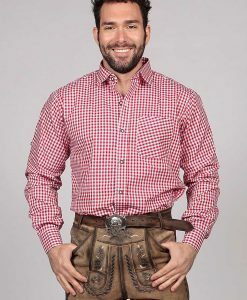 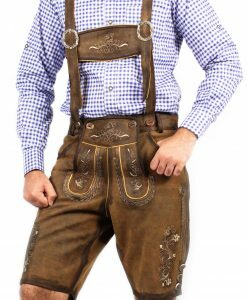 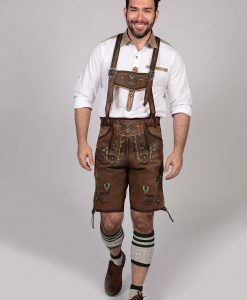 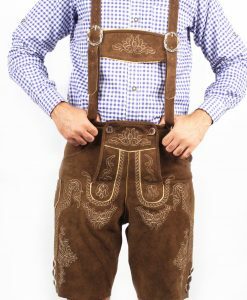 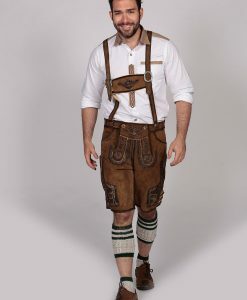 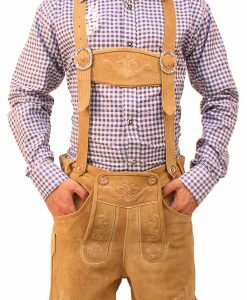 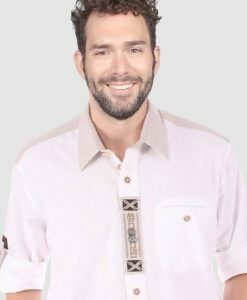 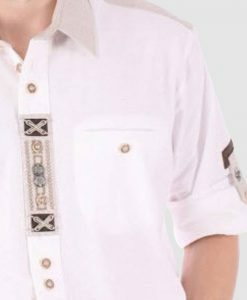 This Best-seller Bavarian Shirt is available on Discounted Price with any Lederhosen or Bundhosen. 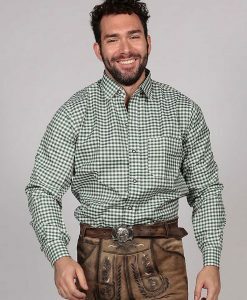 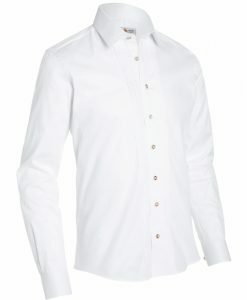 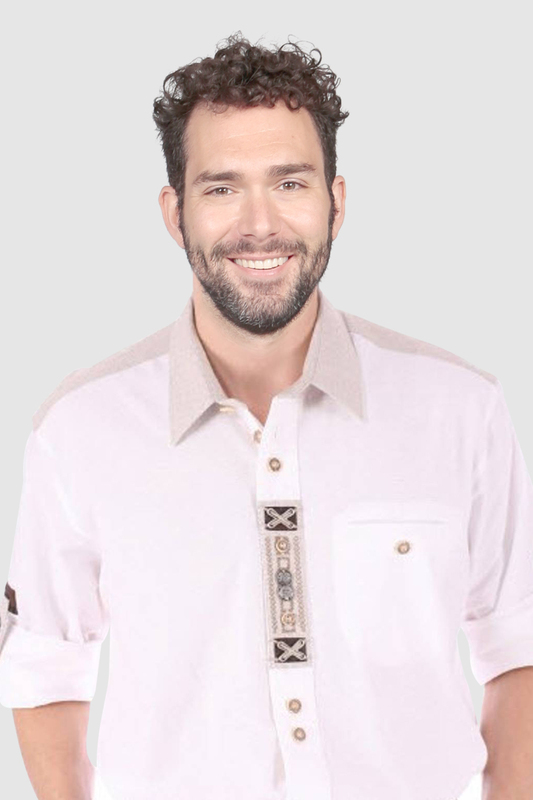 A moon white trachten shirt for your Oktoberfest outfit! 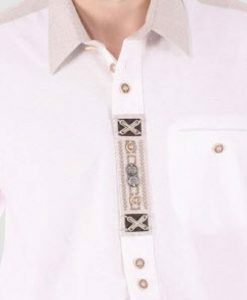 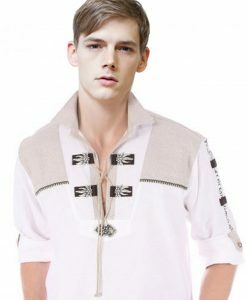 Try one of these light traditional shirt woven with handmade embroidery designing on the front. 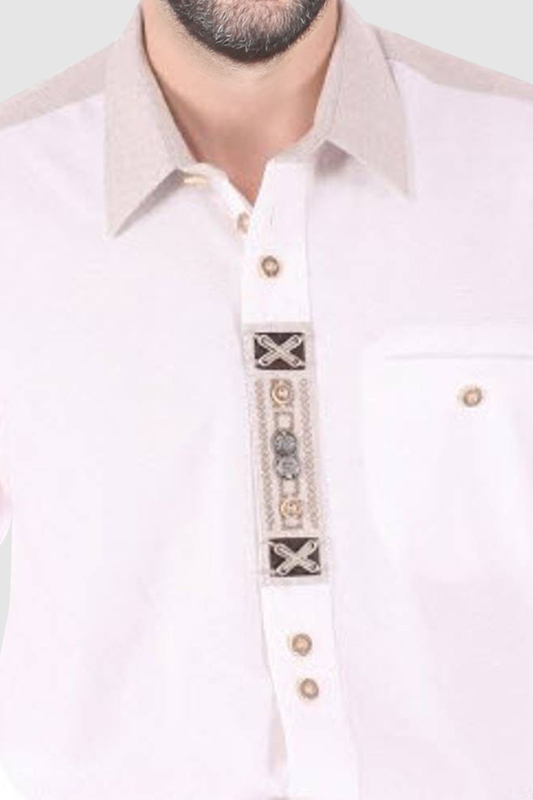 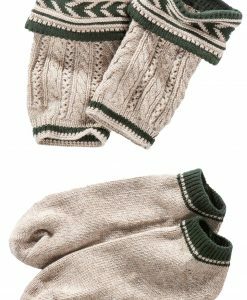 The boxed embroidery design is made using hours of craftwork including woody shaped buttons to compliment an elegant look. 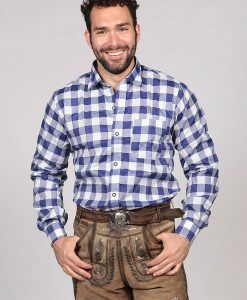 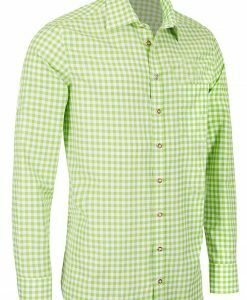 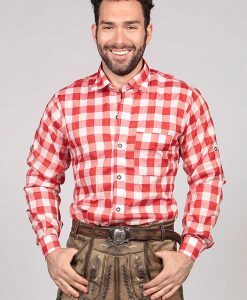 These long sleeved Bavarian shirts have an added strap to fold and pin the sleeve as you wish. 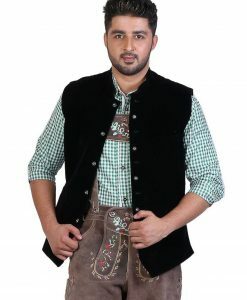 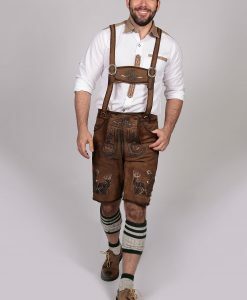 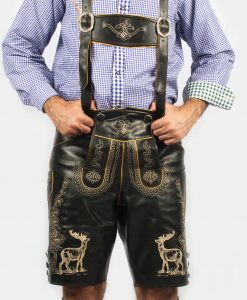 Lederhosen Store knows how to make you look sleek and stylish yet traditional at any event. 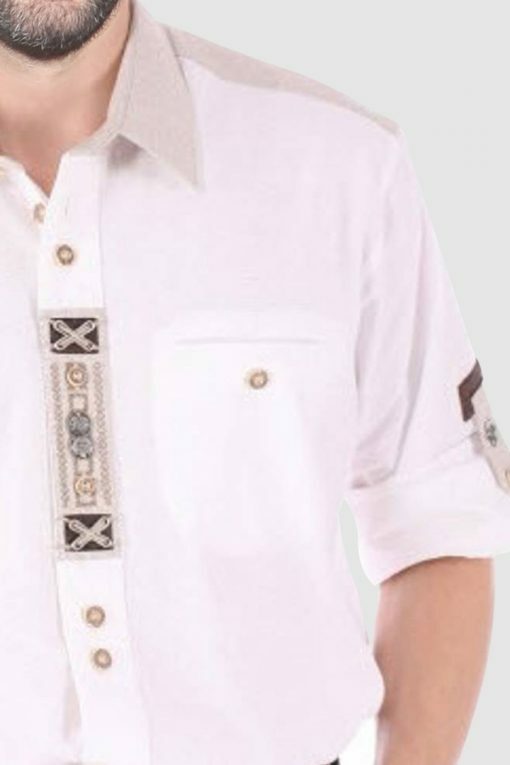 Don’t miss out on this collection of german clothing that has the best quality cotton fabric and bright white color. 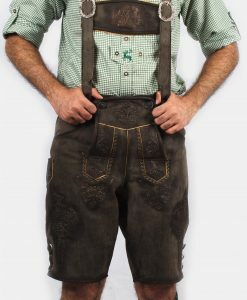 Guranteed to look perfect with any German lederhosen you buy.